Vegetable Protein powders are 100% sourced from nothing other than plants. These are completely vegan products and even come with natural sweeteners and flavours. So you don't even have to worry about any chemical sweeteners or unnatural flavours of any kind. They are clean and jam-packed full of naturally occurring amino acids, that will cover your needs from tryptophan to leucine. For decades now the focus of protein powders has been on whey, which is one of the two proteins found in milk. Which is understandable, given that whey protein is still the only protein discovered with a higher biological value than egg. However, milk production does place a great deal of stress on cows, just as lactation does for humans, which for many understandably brings ethical considerations into the equation. Given the developments in manufacturing and processing technologies, companies are now able to offer purely plant-based powders that are comparable to the quality of whey protein. For instance, pea protein has an exceptional amino acid profile for a plant-based product, nearing that of whey protein isolate. It contains all nine of the essential amino acids, including histidine, which was once believed to be non-essential. In addition, it contains a host of non-essential amino acids, and plentiful amounts of branched chain amino acids. 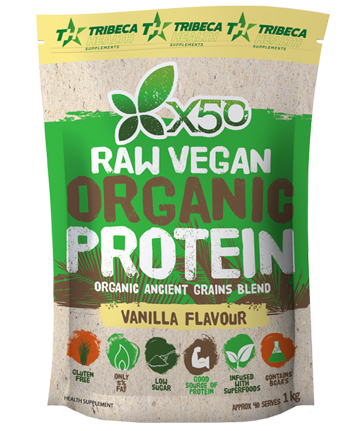 Many of the vegetable proteins listed in this category are blends of different plant-based protein, and may include rice protein, sacha inchi seed and even chia protein. These all help to improve the amino acid profile and palatability of the finished product. Vegetable Proteins are a great range of vegan-friendly products that are based on natural sweeteners and flavours. Please take your time in browsing our range to find the most suitable product.